Prof. Janet C. Mendoza Stickmon, author of Midnight Peaches, Two O’clock Patience and Crushing Soft Rubies, is an educator, writer, and performer. 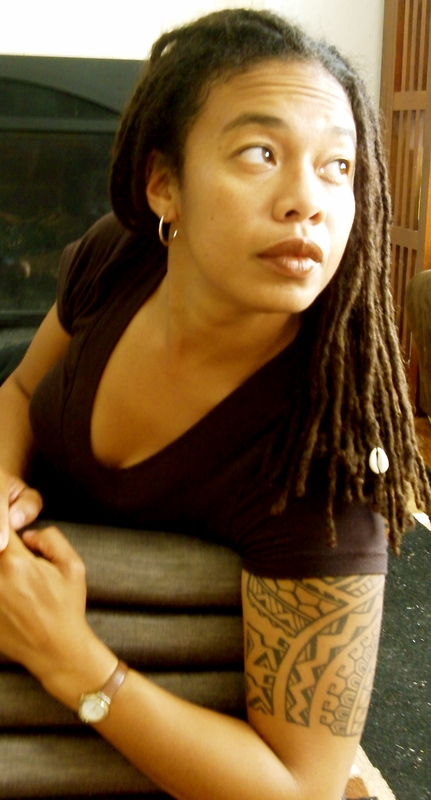 Stickmon is currently a professor of Humanities at Napa Valley College, teaching Filipina/o-American Heritage, American Mind I and II, and Intro to Africana Studies. She has taught ethnic studies, social justice, history of Christianity, spoken word, and algebra at Salesian High School in Richmond, CA for several years. In addition to developing the ethnic studies curriculum at Napa Valley College over the past ten years, Prof. Stickmon is also leading a collaborative effort between the Humanities Department and the Associated Students of Napa Valley College to open The Cultural Center on campus in 2016. Stickmon is the founder and facilitator of Broken Shackle Developmental Training—a program that promotes the use of healing techniques to help reduce the effects of internalized racism. As a member of the Napa Valley Ethnic Studies Advocates, Stickmon delivers collaborative presentations with students, encouraging the integration of ethnic studies into the K-12 curriculum. Prof. Stickmon is also the founder and coordinator of the Black Leaders and Mentorship Program which is designed to prepare African American young adults to become role models for African American students in elementary, middle, and high schools. Janet Stickmon’s memoir, Crushing Soft Rubies, has been used as a course textbook at U.C. Berkeley, San Francisco State University, Santa Rosa Junior College and Gavilan College. She is also a spoken word artist who has performed at several venues across the country. Through her literature and performances, she explores issues of love, motherhood, resilience, ancestral connection, and joy. Her latest book, Midnight Peaches, Two O’clock Patience is a collection of essays, poems, and short stories on the many dimensions of self-love; the text serves as a self-help book for women and men interested in tapping into the sacred feminine to explore issues of spirituality, ethnic identity, sexual freedom, self-care, and motherhood. Midnight Peaches, Two O’clock Patience has been used as a course textbook in colleges, universities and high schools, which One of her most well-known selections from this text is entitled, “Blackapina” and was featured in Positively Filipino magazine. Stickmon holds a Master’s of the Arts Degree in Ethnic Studies from San Francisco State University, a Master’s of the Arts Degree in Religion and Society from the Graduate Theological Union in Berkeley, and a Bachelor’s of Science Degree in Civil Engineering from the University of California, Irvine.